What is Local Marketing – Is it Essential for Construction Trades? Marketing isn’t rocket science, but many companies waste time on the wrong strategies. If your in the construction business, you’ve probably heard from your marketing department or consultant (if you have one), that local marketing or local seo is where it’s at right now. The problem is, the term local is rather arbituary, and can relate to many different processes. 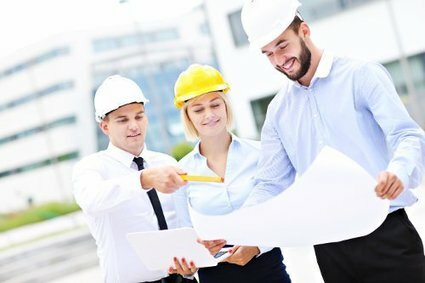 Our business, Homegiraffe.com.au is built around local marketing, so we understand what it takes to really drive traffic, leads and sales for construction businesses in Australia. It’s not a one size fits all approach. It takes customisation and strategy for each individual business. Your options are endless with building your brand. SEO, Paid advertising, content marketing, inbound marketing, word of mouth, print, the list goes on. So it’s really important yout find a strategy that fits within your business that will work for you, regardless of if you’re a plumber, electrician, bricky, painter, tiler, concreter……..whatever! The guys at SMBceo have put together a good article on the types of strategies you can use when marketing your construction business locally. Check it out, it has some really cool tips.